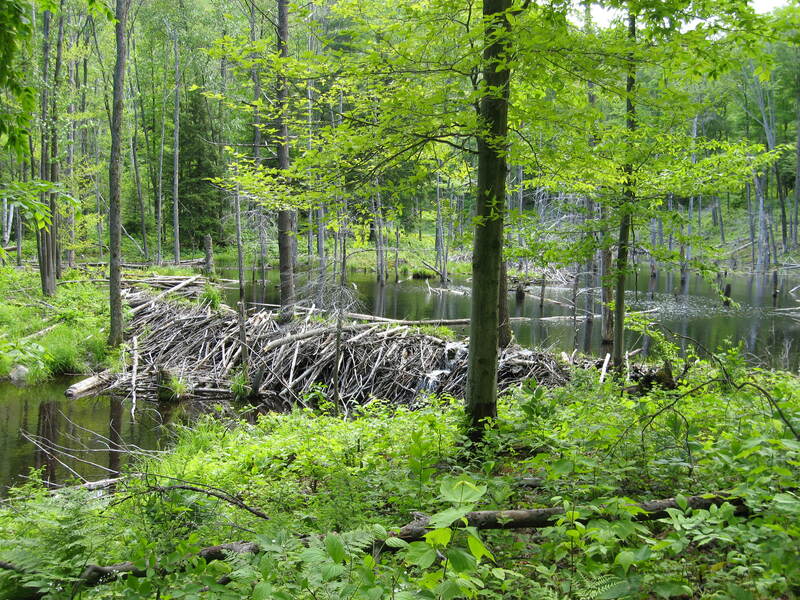 The beaver has changed the American landscape more than any creature other than Man. Its industrious nature and hardy disposition allow it to create suitable habitat wherever it goes. Valuable beaver fur fueled development, westward expansion, and war in the infancy of our country. Join NYS DEC Wildlife Technician Jessica Haggerty as she leads a guided hike through Amy’s Park and learn about the natural and political ways this humble rodent has shaped the landscape, and our country. All ages and skills levels are welcome. Registration coming soon. Guide will have a med kit and emergency supplies while on the hike. This is an evening hike- all participants should wear appropriate weather gear. No bathrooms will be available, please plan accordingly. All participants will be required to fill out a waiver prior. Weather is subject to cancellation due to weather. Sturdy sneakers or hiking boots that are comfortable & meant for walking.